Bishop Paul Kotei is the founder and Senior Pastor of Commissioned World Outreach Church Ministry in Reston, Virginia (U.S.A.). He was born in Accra, Ghana, into a Christian home, accepted Christ at a crusade on March 31st, 1981. The Preacher who led him to The Lord was Brother Samuel Abbey of blessed memory. With his newfound faith, he starts sharing the Word of God at dawn at the corner of streets in his community. He joined Ghana Evangelical Society, a Charismatic Church led by Brother Immanuel Enoch Amanor Agbozo. In 1983, when Ghana was challenged as a nation, especially in the area of food he started evangelizing on buses to lift up the spirit of Ghanaians and also to draw them closer to God. The theme for his message then was, "Righteousness exalted a nation: but sin is a reproach to any people. (Proverbs 14:34 KJV)"
In 1985, he joined the Calvary Apostolic Ministry, which was headed by Rev. Seth Abbey at OSU in Ghana and became a member of the "Prayer Warriors". He got a lot of invitations to preach in other churches and because of his love for God and his fervent service, he was appointed leader of Ringway Christian Fellowship in 1989. All in the community could attest to his dedication to the things of God and so nicknamed him “Small Boy Pastor”. In 1992 he was awarded a scholarship to study at Torchbearer Bible School in Germany. It was not easy for him to leave his homeland; Paul Kotei saw the big picture that God had laid out for him. During his year in seminary, through prayer and fasting Rev. Paul Kotei received a revelation from the Lord. He saw himself pasturing a church in the United States of America. On his return to Ghana after completion of his Pastoral course in Germany, Bishop Pau Kotei was ordained by Bishop Seth Abbey as an evangelist. In 1994, Bishop Paul made his first visit to the United States. But the time was not right for him to stay. So he returned to Ghana and to his parish. In 1998, Bishop Paul was given a sign that the time was right for him to leave his homeland and go to the United States. In 1999, Bishop Paul found a new home in Virginia, and fulfilled his calling by establishing the Commissioned World Outreach Church Ministry. It was made duly registered on May 4th, 2003. His ministry prides itself of serving members from different cultures. Currently his parish is made up of members from seven different countries. Paul Kotei was ordained as a Bishop on August 6, 2012. He was ordained by Apostle Bishop Barbara C. Moore, Founder and President of The Covenant Fellowship of God's Amazing Grace Ministries International. 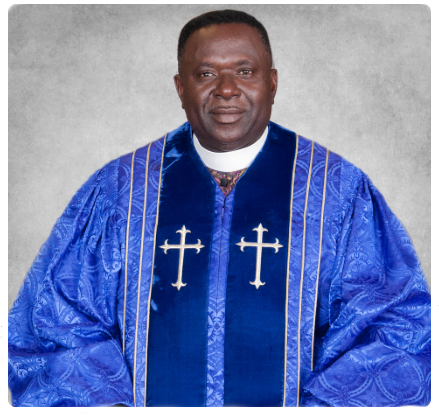 Bishop Paul Kotei is called an “Apostle to the Nations” and has been instrumental in helping countries such as: Ghana, Cote D' Ivoire, Germany, and the United States. Known for delivering a prophetic and soul healing message, Bishop Paul guides his parish as the Lord guides him. As a family man, Bishop Paul provides comfort for those in needs with real world solutions and advice. 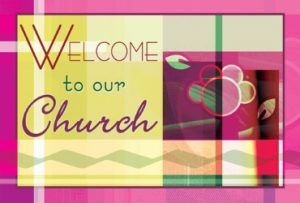 The Commissioned World Outreach Church and Ministry is Rev. Paul Kotei’s family. He loves his parish and works tirelessly to spread the Word to as many new members as possible. Bishop Paul welcomes all into his parish with open arms and love. This generation is truly blessed to have such a servant of God among us.